Elkagorasa the Casual: So Blizzard, don't stop, you got a great idea! So Blizzard, don't stop, you got a great idea! With Time Walking dungeons coming to WoW in 6.2, there are a number of people calling for tw raids! I'd like to propose a slight variation. 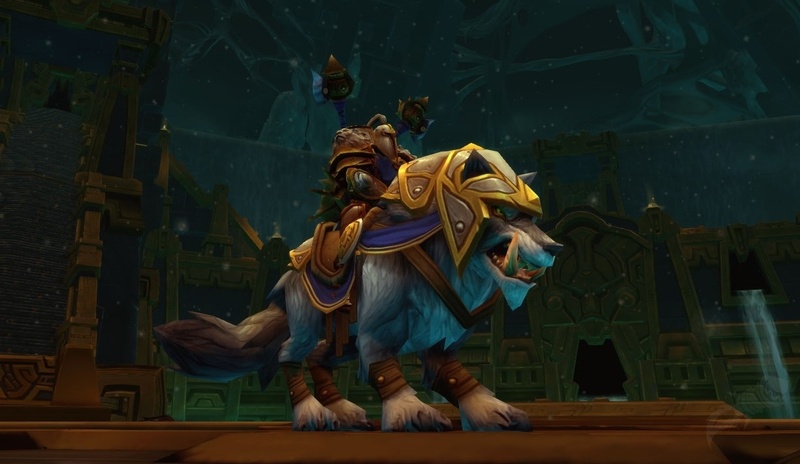 Ok, so as I recently posted that I am working on mount gathering, both from reputation rewards like Netherwing, but also legacy raids, like ICC and Ulduar. Running these raids at 100 is menial. In fact, with these raids, it's detrimental to run many with a minion as they will often kill the adds and boss too fast. I may have to attempt a few achievements naked or with a different, lower level toon in order to kill them slow enough. So, I'd like to propose variable dungeons and raids. Let's call them Normal and heroic. Normal would be tuned a so that your group is at, or even little op. You could potentially solo the content, but not easily. 3-man group would be ideal. Whereas Heroic level would be tuned 3 tw levels lower. You'd do about 5-10% less. It would be similar to running a heroic version of the content. (I suppose). So, go down to the caverns of time. Take drake taxi down to bottom. Hunt down Time Walker Norris. (friend of Chromie). Complete his quest and he'll provide you access to his chrono device. (like in War Crimes). This will allow you to pick a dungeon or raid and the level you want. [picture of Chuck Norris 👊 ]. Bam! You're there with your party! I like the timewalking idea myself. I only have one issue with it. They will not be regular content, you need to wait until the weekend special for them. Boo. I'd like to see them make all dungeons timewalker and use your suggestion a bit. I still want to be able to steamroll firelands trying to get the mounts solo but I would not mind playing it level with some friends once in a while. So there needs to be a setting. The last thing I would want is to lose my ability to solo those old raids as they are my favorite part of the game at the moment. My idea with making the difficulty variable is the "Iron Dwarfs, Medium Rare" achievement. This requires you to get the adds down to 5% health and then get the boss' fire kill them. At my current level, it's more of a game to not kill the adds with simply 'rain of fire' splash damage. If the raid level was variable, say where I was at Cata levels, my dps wouldn't kill them outright but I could still steamroll the content. (On the otherhand, maybe this would give my level 92 priest XP and should run this raid with her).